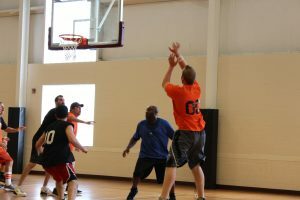 We offer a number of sports and fitness opportunities at First Friends Church! For an overview, browse the links below for more information on each activity. 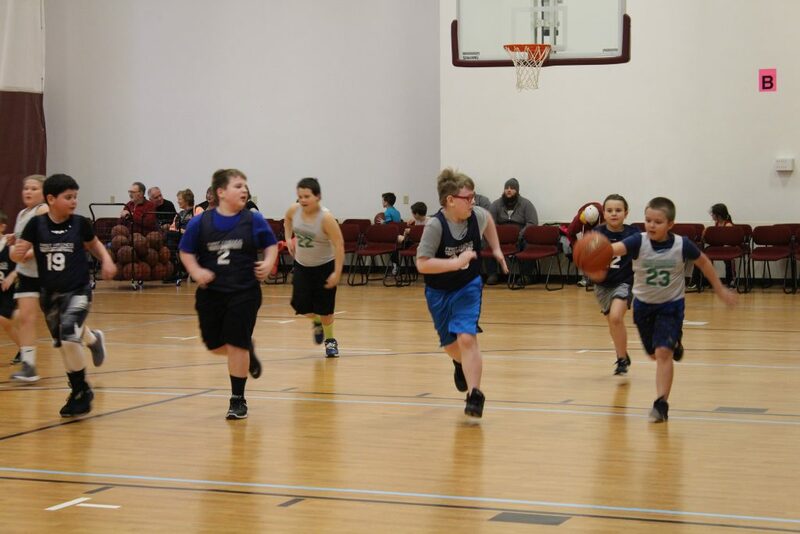 Our Youth Basketball league is a seasonal ministry that occurs each winter for kids in grades K-8. It is broken up into four divisions (grades 1-2, 3-4, 5-6, 7-8) plus an 8 week Kindergarten Clinic. This year, we are introducing a new 7th & 8th Grade League. Our intention is for this to be a welcoming and instructional league for children of all skill levels. The league begins with a skills assessment in mid November (see dates below) and progresses through the first weekend in March, concluding with a Tournament on Saturday (2nd) and a Recognition Banquet on Sunday (3rd)! If you have any questions, please contact our league director Matt Mason (matt.mason@salemfirstfriends.org). This year, we will be doing all our registrations online at this LINK. You can still pay by check (either by dropping it off at the church during regular business hours or at your child’s skill assessment) but you can also pay by card through the registration site. When you follow the REGISTRATION LINK, click the registration button on the top right. You will simply need to login and register. We offer various Men’s and Women’s open gym times throughout the year for exercise, friendly competition, and fellowship. These schedules flex based on the season. Please call the church office for more info (330-332-0001). 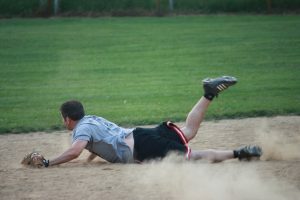 Our church places a team in the local church softball league each summer. The season runs from June through August, and all games are played in Salem. Please contact our sports director, Mike Barnes (mike@salemfirstfriends.org) in April if you would like to play. We have a standing Tee Time at Flying B golf course for 9 holes on Monday nights at 5:30 during the golf season. 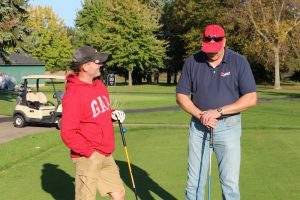 Come out and join us for some golf and fellowship any time! 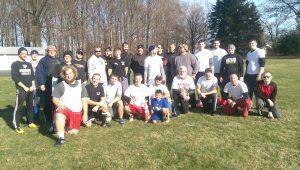 Twice a year, on Thanksgiving and Mother’s Day Weekend, we hold a pick-up back-yard football game. The games are aptly named the “Turkey Bowl” and the “Yo Mamma Bowl,” and traveling trophies, which rotate between our pastoral offices based on winning teams, are up for grabs! Come on out and enjoy the fun! Sit, Stretch, and Strengthen your way to a happier, healthier you! Chair exercises has numerous benefits, and right now, there are two chair exercise sessions offered each week at First Friends Church. Bethanie leads our classes on Monday and Friday mornings from 9:30 – 10:45am. It is a time of worship, praise, and connection to Christ, practiced to Christian music, including scriptures and devotions. This experience teaches us to take time to love, nurture, accept, heal, and grow ourselves in God’s Word and in His Spirit. Bethanie, a certified instructor, gears this class for adults of all ages, both men and women with all levels of flexibility/range of motion, as well as for those with limited mobility. No previous experience is necessary. The cost is $5 per class. We hope you’ll come and try it out! Questions? Contact the church office for more information (330-332-0001).